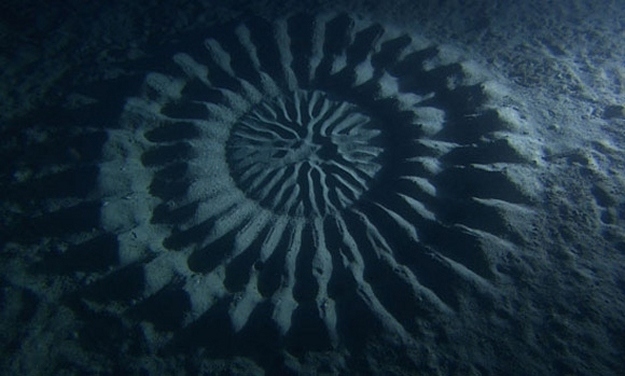 Seasoned underwater photographer Yoji Ookata recently discovered something strange 80 feet below sea level off the coast of Japan: a geometric pattern roughly six and a half feet in diameter. No, aliens aren't landing underwater. Ookata discovered a tiny puffer fish laboring day and night to make the darn thing. Why? To attract females, who apparently have a thing for wandering giant, gorgeous sand labyrinths before mating. Conveniently, the structure also protects any eggs laid. Typical caddisfly larvae build themselves protective pouches of silk adorned with river sediment: pebbles, twigs, and sand. 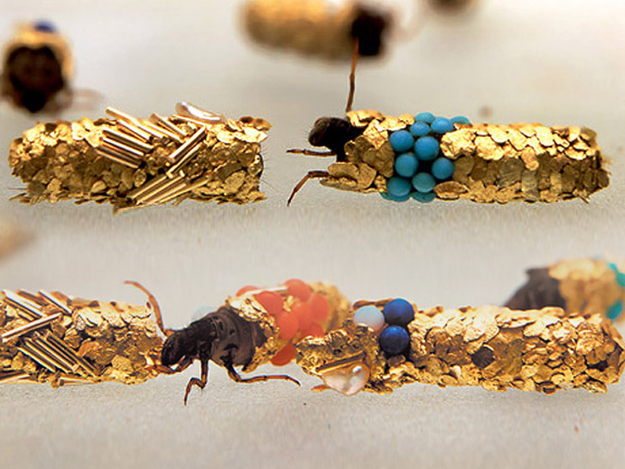 Hubert Duprat's caddisfly larvae have more lavish tastes. Duprat provides them with gold flakes and jewels, including pearls, turquoise, rubies, and sapphires. When the larvae become full-fledged caddisflies, Duprat turns their abandoned tubes into wearable art. 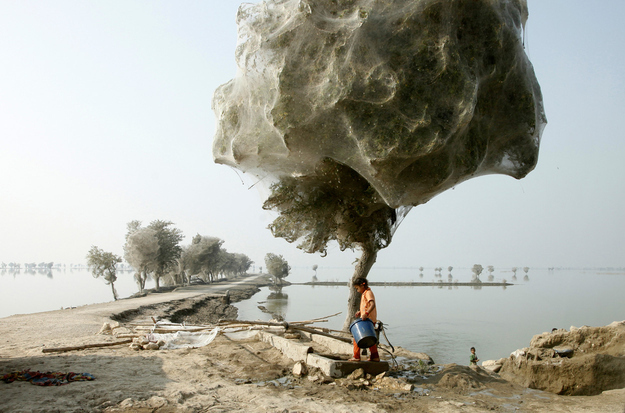 In 2010, flooding in Pakinstan forced millions of spiders and silk-producing insects to seek refuge in trees, yielding the web-laden branches pictured above. A similar phenomenon was observed in Wagga Wagga, Australia in 2012. Not all bees nest in hives. 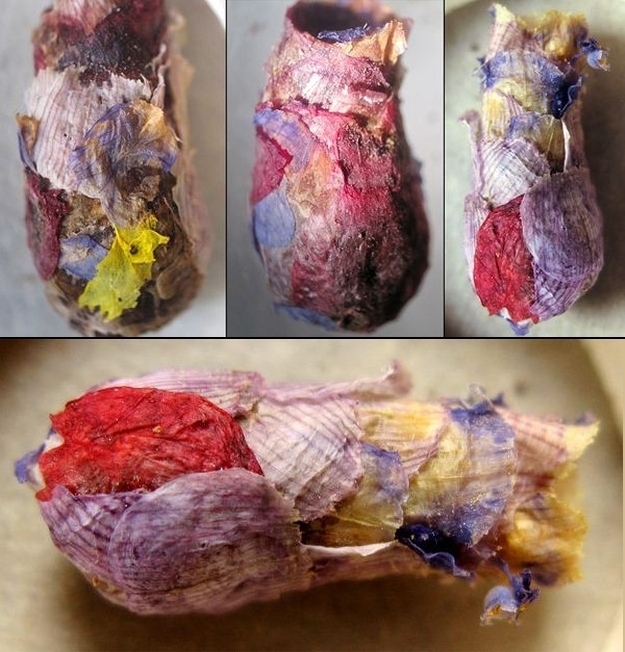 An unusual species native to Turkey and Iran creates "flower sandwiches" out of petals and mud for its larvae. The bees fill the flower sandwiches with enough nectar and pollen to sustain a single egg. All in all, it's a rather pretty nursery. Bowerbirds build elaborate structures (called bowers, unsurprisingly) to attract mates. 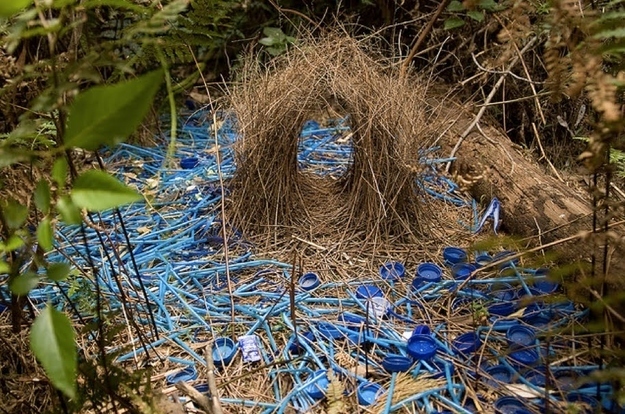 The bower depicted above was created by an avenue-type bowerbird. It consists of upright sticks that create the "avenue," and is surrounded by brightly-colored objects. Lady bowerbirds apparently like guys with a sense of design. 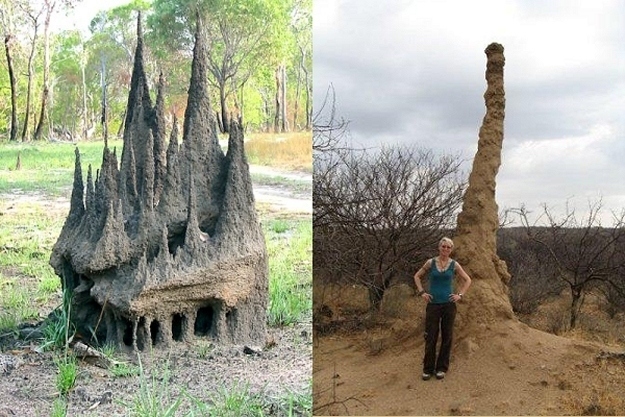 These aren't castles or giant abstract sculptures, but homes for thousands of termites. Termite mounds come in a variety of species-specific shapes, but are typically designed to control temperature; ultimately, termite workers are protected from extreme weather, larvae are kept warm, and fungus-growing termites maintain an appropriate atmosphere for cultivation. 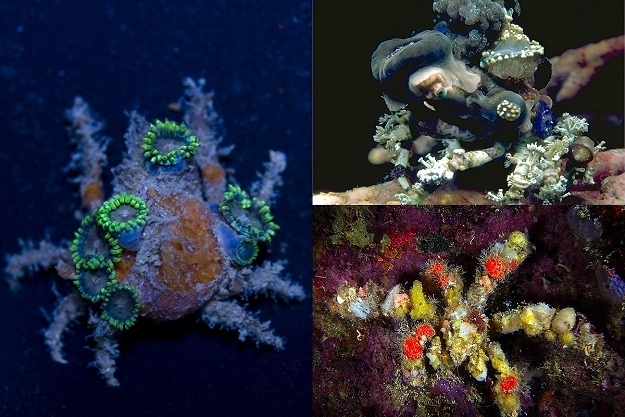 Decorator crabs camouflage themselves by sticking sea floor debris to their bodies. The eclectic mix of organic and inorganic materials often transforms the crabs into unique, walking works of art. Koopa the box turtle enjoyed a five year career as an artist, creating "finger" paintings by wandering across paint-laden canvases. 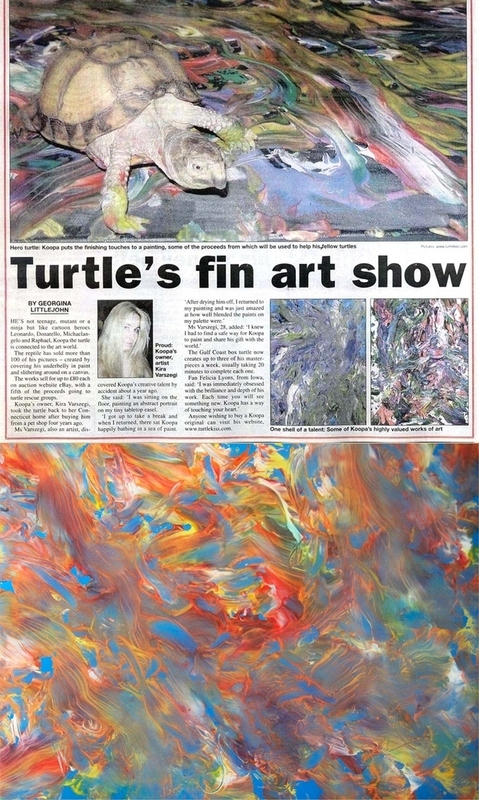 A portion of the proceeds from Koopa's paintings benefited turtle charities. By the time he retired from painting, he had raised over $10,000. 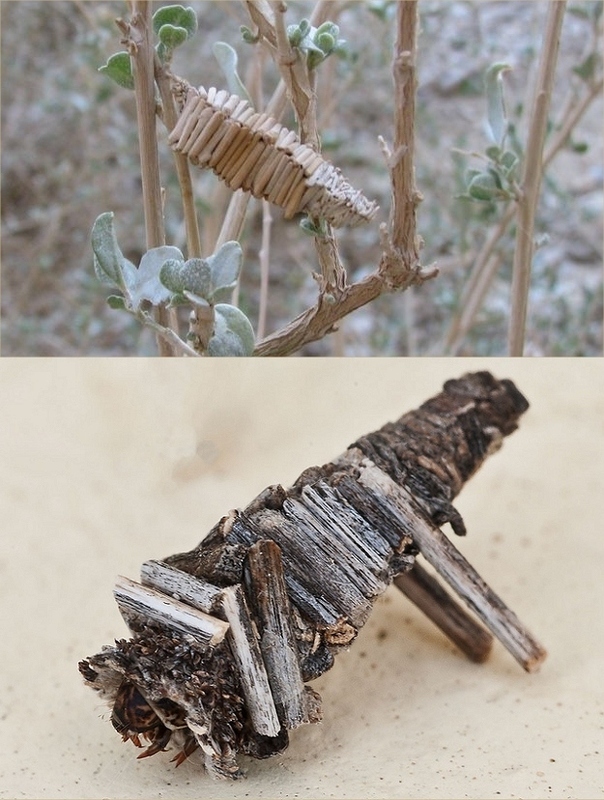 Amicta is a genus of bagworms that builds wooden cocoons with remarkably clean lines. Seriously, some bagworms are just sloppy. These guys could work for Ikea. Paper wasps create their nests from plant fibers mixed with their own saliva. While bug spit, in theory, is kind of gross, the final structure often contains beautifully colored gradations that reflect the wasp's diverse plant sources. 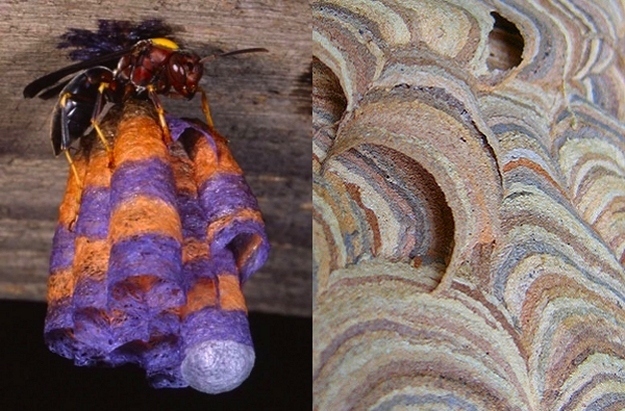 The wasp on the left hand side was part of a laboratory study at the University of Illinois; it was provided with purple and orange materials to produce a nest in the school's colors.